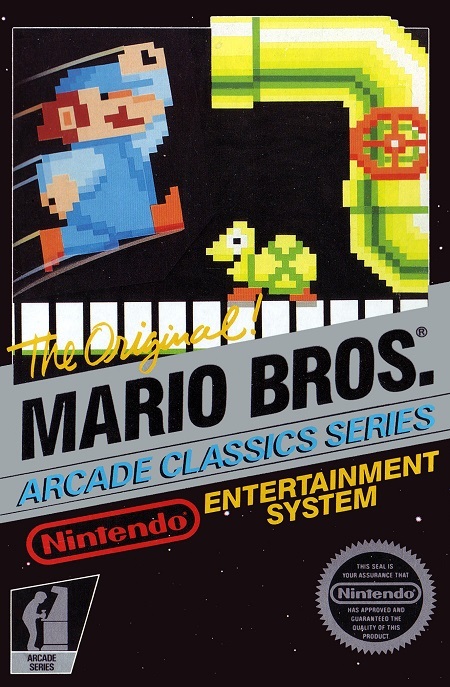 Mario Bros. is a 2D side-view platform game. There is only one screen; the platforms have the same position for the entire game. The goal for each phase is to "kick off all the pests". Mario or Luigi can run right and left, and jump. The players' main method of attack is bumping the platforms from below. Any pests standing on that section of floor are flipped over, temporarily stunned. After Mario/Luigi flips over a pest, he can walk into it to kick it off; if Mario does not kick off a flipped pest, it will eventually wake up and move faster than before. The player can also use the POW, which is a block in the central gap of the second-level platform. By hitting the POW from below, all the platforms are hit in one jolt, so many pests can be overturned at once. There are only a limited number of hits in a POW, but it gets replenished after every coin phase. In addition, Mario can land on top of the POW.